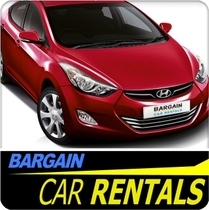 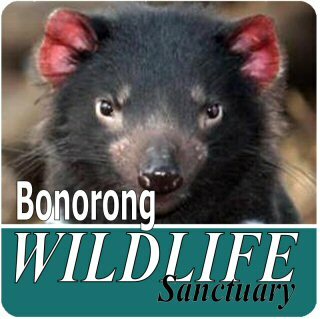 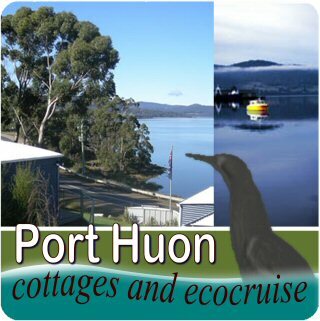 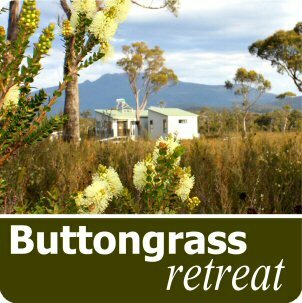 Holiday accommodation and activities in the Huon Valley, south from Hobart Tasmania, Australia. 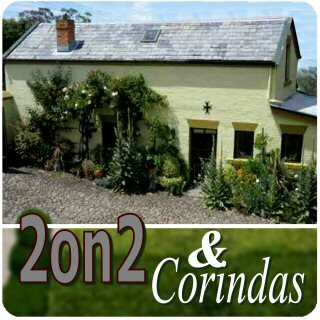 Self contained studios or separate bedrooms. 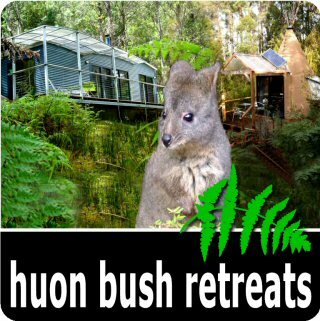 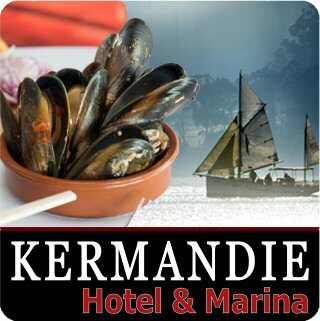 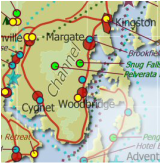 Eco and nature based, waterfront, luxury or budget, couples, families or small groups. 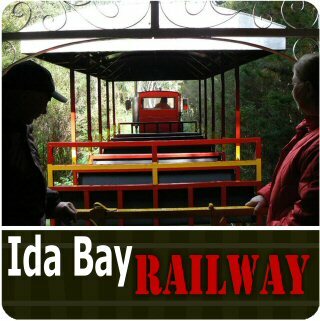 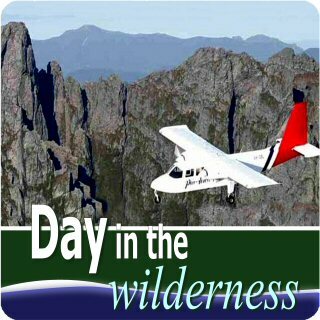 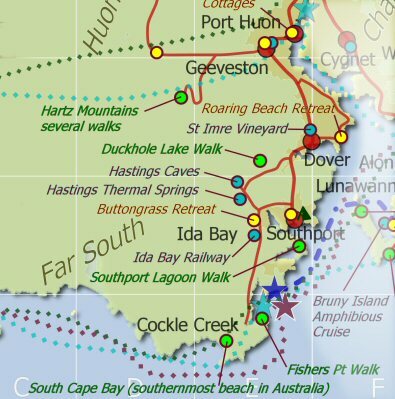 Bushwalks, boat cruise, historic railway, caves, thermal springs. 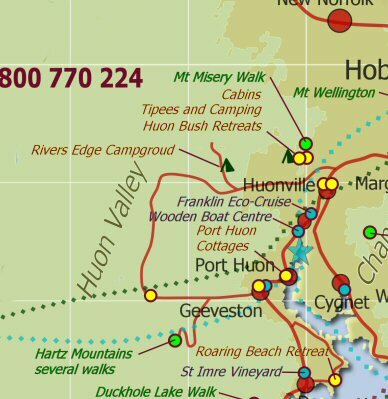 The Huon Trail is a land of waterways, wilderness and wildlife. 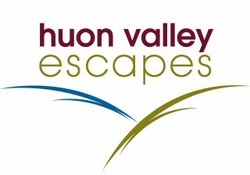 This is your one stop shop to plan and book your Huon Valley Escape. 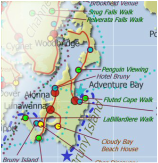 This is a small selection of our extensive range.